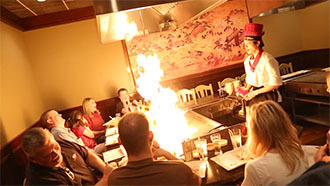 Your Hibachi Grill is waiting for you! Give us a call to reserve yours now. Don’t miss out on Detroit’s best Hibachi experience! 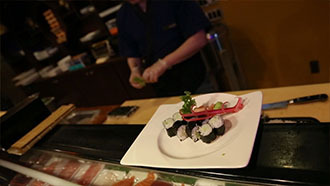 Every Monday is Sushi Night at Kyoto. Enjoy up to 50% off of your favorite rolls from the Sushi Night Selection Menu. Dine in only. Having a long week? Day? Afternoon? 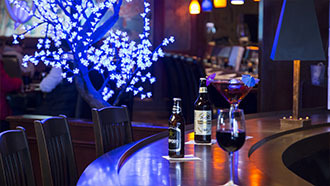 Kyoto hosts Happy Hour Tuesday-Thursday from 4:30-6:00. Always enjoy responsibly! Kyoto Japanese Steakhouse blends traditional Culinary art with the modern concept of fine dining in an elegant contemporary atmosphere. The excellence of our service makes our diners feel the most satisfaction and enjoyment in dining. Join our community on Facebook. Designed & Developed by Corner Store Creative | © Copyright Kyoto Japanese Steakhouse 2019. All Rights Reserved. Get Coupons, Discounts & More! Join our email list and be eligiable for our monthly drawing. Every month, lucky winners will each get a $100 Gift Card! Plus, receive the latest discounts and updates from your favorite Japanese Steakhouse. Success! Now Text KYOTO to 31996 to get coupons sent via text!